SimpleModal 1.4.4 is now available for download. This release addressed the removal of $.browser in jQuery 1.9 (deprecated since 1.3). SimpleModal 1.4.3 is now available for download. WP-Paginate 1.2 has been released and is available on the WordPress Plugin Directory. WP-Paginate is a simple and flexible pagination plugin which provides users with better navigation on your WordPress site. WP-Paginate supports pagination for both posts and comments. 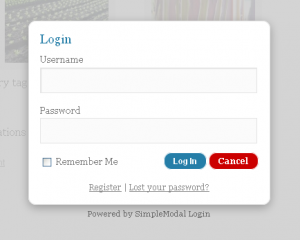 I'm happy to (finally) announce the release of SimpleModal Login 1.0! 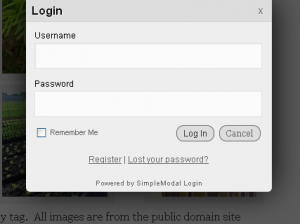 SimpleModal 1.3.4 is now available for download. A new option, transient, was added which allows you to disable the overlay, iframe, and certain events. This would allow the user to still interact with the page below the dialog. Another container dimension fix was added to deal with Opera quirks. Lastly, a new internal placeholder was added to keep track of where the modal content came from (if it came from the DOM).